The Protex FW-1814Z Fingerprint Wall Safe is sure deliver with its innovative technology and sturdy design. Allowing daily access to your belongings while still being hidden and secure. 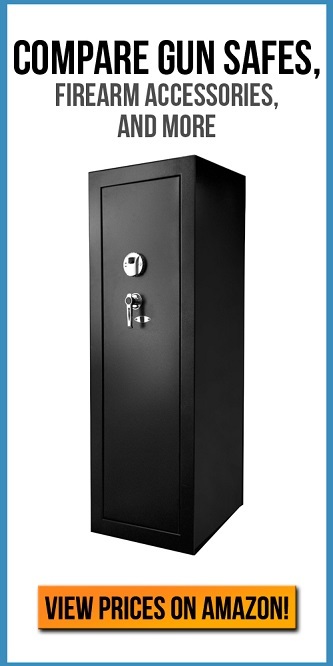 Protex Safe Co. has a large selection and wide variety of safes with superior construction and competitive pricing. Since 2005 Protex has lead the market and provided some of the highest in quality safes available at a great value. The Protex FW-1814Z features a state-of-the-art fingerprint locking system that can store up to 30 fingerprints. The unit is both simple to program and easy to operate. The cutting edge technology of the biometric system allows you quick access to your valuables. While being one of the most secure locks available today. The biometric reader operates using 4 AA batteries that are included. With the fully functional, permanent memory system that will retain the programming even when the batteries are removed. The FW-1814Z does also include two sets of override keys in case of battery failure. While battery failure is very rarely reported for this safe, it is still a good idea to have these handy. We at TossTheKey had zero issue with battery failure during testing. Some people have come to find there is no option to silence the confirmation beep on the particular model they purchased. This may be troublesome if you’re looking for silence. This safe delivers in both security and strength. The 5/8 inch formed steel door is spring loaded. One of the main features of the door is the dual live motorized chrome locking bolt. Both of the locking bolts are ¾ inches in diameter. Since they are motorized they will open thedoor automatically. The FW-1814Z Wall Safe is designed to be installed in between 2 center wall studs, 16 inches apart. To secure the unit, Protex has implemented 6 pre drilled bolt holes. The outer protecting layer on the unit is 16 inches wide by 20 inches high. It will cover any rough edges in the drywall and eliminate the need for plaster repairs. With a manageable weight of 29 lbs, included installation instructions and careful planning, it will be simple for you to install this safe in a closet or behind furniture. It’s easy to conceal design is another layer of security for your peace of mind. The 14″ wide by 18 1/8″ high and 3″ deep interior features high quality velvet to prevent any scratches or damage to your valuables. As well as two removable shelves for customization and organization. With .44 cubic feet of storage space, this wall safe is perfect for storing sensitive documents, medication, hand guns and small valuables. Overall this safe is a great value. With it’s easy to conceal design, state-of-the-art biometric technology and sturdy steel construction. This is the perfect security solution for any home. Its light weight yet sturdy design installation is sure to go flawlessly and you will be able to secure your valuables in no time.